Digestive enzymes have been linked with providing relief for a variety of digestive symptoms. From bloating and postprandial fatigue to constipation and indigestion, digestive enzymes can help reduce and rectify a wide range of digestive complaints. But exactly what are enzymes? Imagine that your body is one massive chemistry lab. In all your cells, organs, muscles and bones numerous reactions are taking place every second. Enzymes help increase the speed of these reactions, through their action as a catalyst. That means they participate and change the speed, time and effectiveness of reactions without being altered themselves. This helps our bodies run more efficiently than they would without enzymes, because we do not have to expend as much energy. In terms of structure, an enzyme is a protein molecule made up of various amino acids and shaped in a specific way to perform a specific task. Some help break down large molecules into smaller molecules that are more easily absorbed by the body. 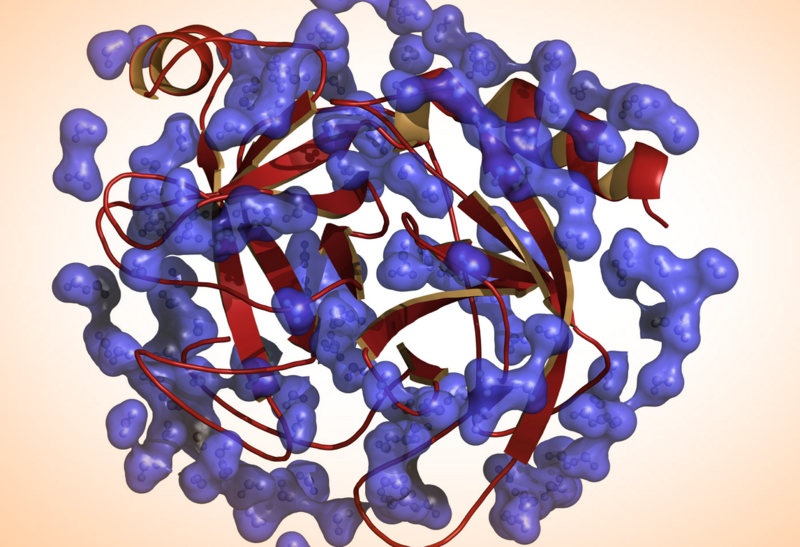 Some enzymes help bind two molecules together to make a new molecule with its own job. Think of a jar filled with magnets. Magnets are only attracted to each other when the correct ends align. Left alone, a few magnets in a jar may line up, however most would be lying too far and/or in the wrong direction to attach. Now, let’s say the jar is shaken. The shaking will help to attract more magnets together, but you’re expending a lot of energy to do this. Suppose an enzyme is added to the jar – like the conductor of an orchestra, this leader is going to help the process be more efficient. It will guide the magnets to each other. In essence, a leader will almost always increase the speed and efficiency in which a reaction occurs, and you will not be using as much energy because you now have help, making you more efficient. There are many different types of enzymes in our body including metabolic enzymes, liver enzymes and receptor enzymes to name a few. However, in terms of supporting digestion, digestive enzymes take the centre stage. Digestive enzymes help us break down and absorb our food. Some examples would be amylase, protease and lipase. When you eat, food comes in contact with various enzymes the moment it enters your mouth. Amylase in our saliva starts the breakdown of starches and lipase starts the breakdown of fatty acids. Interesting fact: Lipase on the tongue is abundant in infants and helps them digest the fat in breast milk, but this enzyme decreases as we get older. As the food makes its way to the stomach, these enzymes continue to work. The food will then meet the enzymes of the stomach, like pepsin; here most of the micronutrients will be removed from the food, which is why hydrochloric acid and digestive enzymes are so important. The food then continues to the small intestine where various enzymes including trypsin and lipase exert their effects. The part of the small intestine where most of the work takes place is called the duodenum. The enzymes here will break down amino acids from protein, fatty acids and cholesterol from fats, and simple sugars from the carbohydrates you have consumed. Nucleases split the nucleic acids needed for DNA into nucleotides. Once digestion is final and the molecules are small enough, these various nutrients will be absorbed into the blood to be used by the body, and the waste products will make their way to the large intestine for excretion. As you can see, there are many different enzymes and enzymatic reactions in our bodies. When it comes to our health, we can help facilitate these enzymes by eating a balanced diet to provide the nutrients the enzymes need as helpers. You can also supplement with a high-quality enzyme blend from a trusted company, such as Enzymedica. Who might benefit from taking digestive enzymes? Anyone concerned about the decreased nutrient content in the foods we eat and would like support to assist in extracting all nutrients available from the food. People with any type of occasional digestive issue, like occasional bloating, gas or irregularity. Digestive enzymes can help with some of the work to help take some stress off of organs that are working overtime to try and break-down difficult to digest starches, proteins and fat. People who feel their digestive efficiency has decreased. As we age, our natural production of enzymes and stomach acid decreases, and there is an increased occurrence of protein malabsorption. Those who feel tired and fatigued after eating. Did you know that digestion takes up to 80% of our spare energy? Supplemental enzymes help with the efficient breakdown of nutrients, helping to conserve your body’s energy stores. Physically active people with larger calorie needs. Some of us need to eat more food to keep up with our energy needs. However, this also places a heavy burden on our digestive system. Enzymes are truly amazing, helping to do so many things! 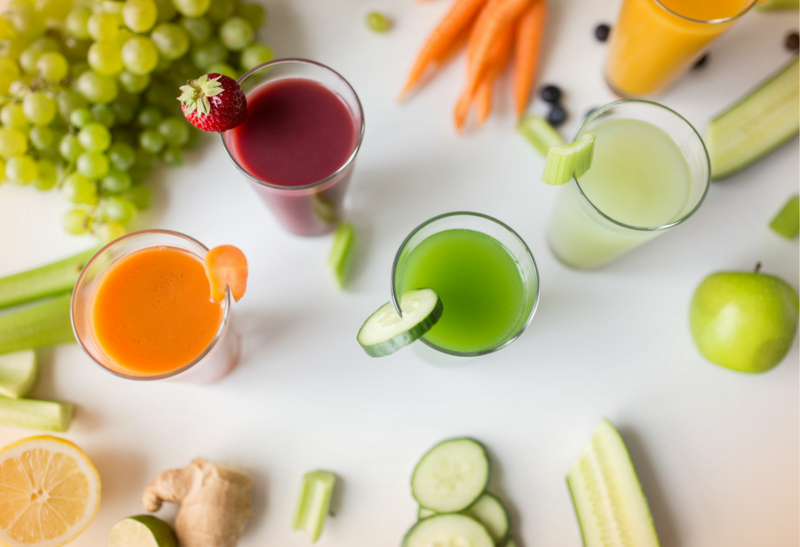 The next time you take a bite of food, you might think differently about the various types of enzymes that are about to help you digest and utilise it!